Are you bored this Christmas season? Do you feel like you’re not in the Christmas spirit? Lucky for you, The Rebel Report has the fix for your case of the holiday blues! In Pittsburgh, there are a lot of different holiday activities that will get you into the Christmas spirit. Here are the top 5 holiday activities that are in and around the extended Pittsburgh area. Light Up Night – Nothing in Pittsburgh compares to the official kickoff to Christmas. Light Up Night takes place on the Friday before Thanksgiving and features 3 fireworks shows, the lighting of the trees downtown, and the opening of the shops in Market Square. 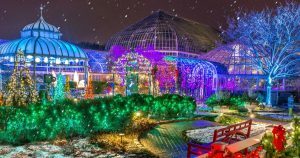 Phipps Conservatory Winter Flower Show – Every year Phipps Conservatory puts on a wonderful Christmas light display that has a different holiday theme. Phipps has beautiful lights decorating a display of flowers. The display is very impressive and totally worth checking out this Christmas season. Kennywood’s Holiday Lights – Kennywood is every true Pittsburgher’s favorite amusement park and they had no plans of closing down for the holiday season. Kennywood puts on an impressive holiday light display year after year. Every 30 minutes at the Lagoon there is a light show and there are plenty of other things to do around the park as well. Overly’s Country Christmas – Located about an hour away from Pittsburgh, Overly’s Country Christmas is simply amazing. The village is full of amazing Christmas stores and restaurants. Horse drawn carriage rides are available and there is a large bonfire for staying warm and also making s’mores. Overly’s Country Christmas is one of the best things to do near Pittsburgh for Christmas and is well worth the drive to go and experience it. 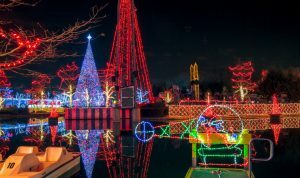 Oglebay’s Festival of Lights – Oglebay’s festival of lights is one of the best Christmas light displays in the country, the festival spans over 300 acres and a six-mile drive through world class lights. Oglebay gets more than one million visitors each year and attracts groups from all over the country. 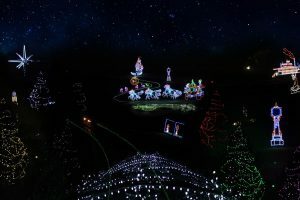 The display has been voted as one of the country’s top Christmas light displays in the country, there is simply no topping Oglebay, and it is located about an hour away in beautiful Wheeling, West Virginia.Oglebay is a world class light show and it is absolutely worth driving through it and seeing it for yourself. Pro tip – If you go to see the lights and are feeling hungry afterwards, Elm Grove DiCarlos, also located in Wheeling has some of the best pizza that you will ever try. 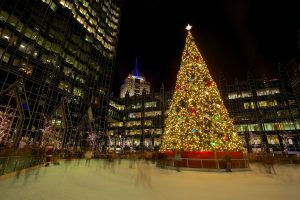 Alright, so those are some amazing things to do in and around the Pittsburgh area this holiday season to jump-start your Christmas Spirit. Hope you enjoyed the article and it inspired you to go out and see some of these amazing Christmas displays if you haven’t already done so.